I like how Terry Man comes with the puppy that he saves from the train tracks. I feel your pain. I can't find a Ramen Man for less than $90 now. I find this new higher price point ($60 for a figure without any accessories and $90 for those with) for all of the newer SHFiguarts/Monsterarts lines a bit steep. 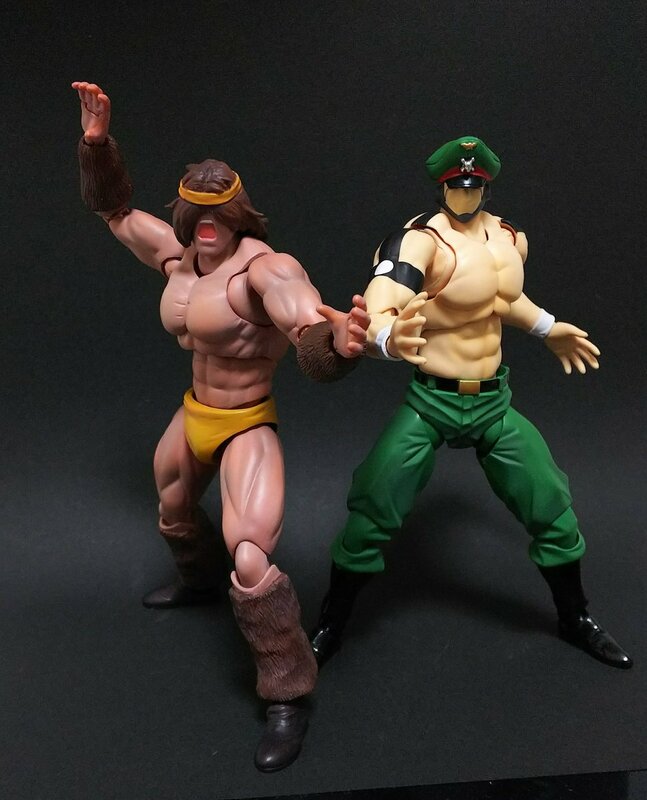 If I'm going to spend that kind of $$$ towards a Kinnikuman figure then I'll put it towards a CCP. Edited by theCrazyest, 16 October 2017 - 09:58 AM. 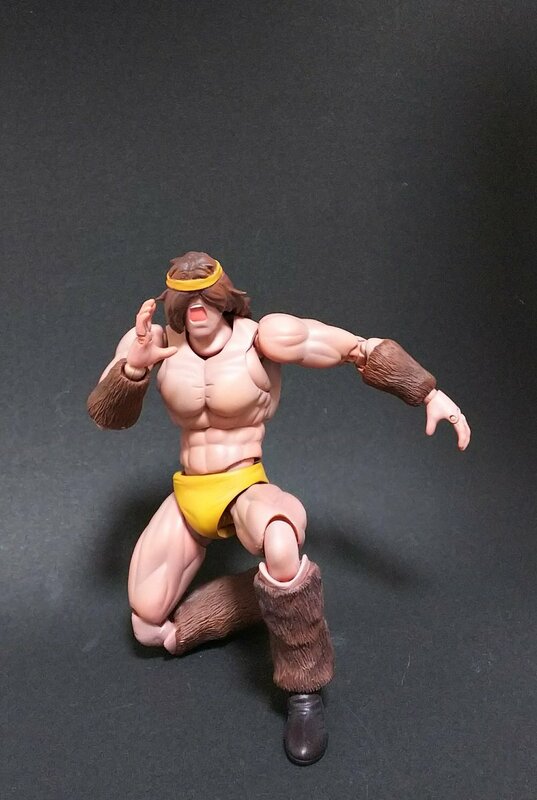 I did see some really good pics of other people's poses for those those two figures. Unfortunately I don't know what the history is between these two (since I'm behind on my manga reading) but I did notice that the Muscle Shot in-game versions seem to be designed to take on each other's dungeons. For reference, here are my SHFigs and their CCP counterparts. Now I do understand that the SHFigu/Monsterarts lines are very poseable, for my usage I am usually putting them in poses that can be supported by their own weight and then left alone. From my SHFig/Monsterarts experiences, I have become very weary of any BaMco figure that uses heavy metallic paint apps (i.e. Akuma Shogun, Mecha King Ghidorah, OG Ultraman among others) since the metallic flakes seem to transfer after posing. Edited by theCrazyest, 16 October 2017 - 10:13 AM. 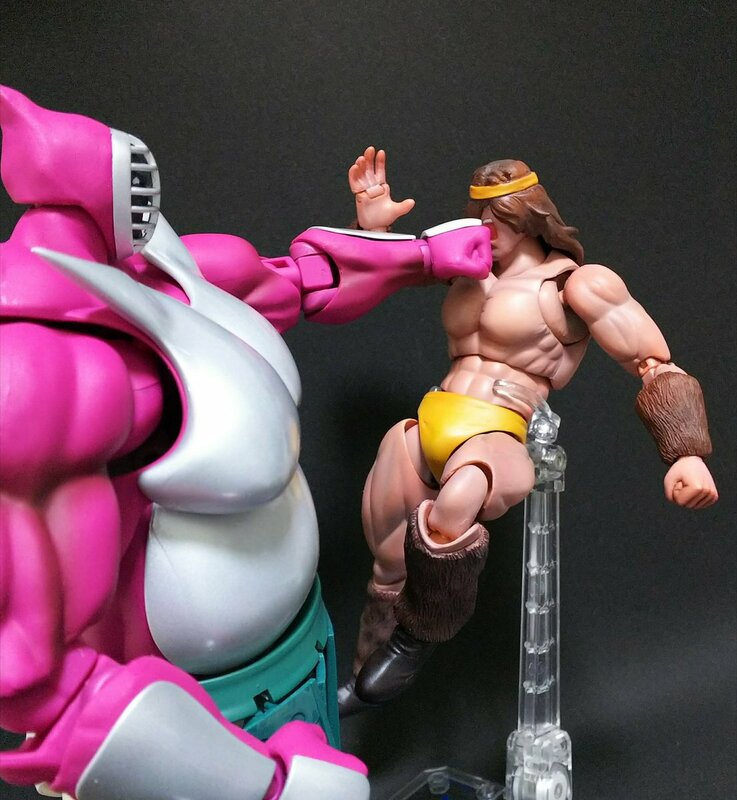 Regarding Ramenman's currant price, I say be patient and watch Mandarake. Once Green pants Ramenman hits, you'll see a bunch of OCE Ramenman listed for around msrp, no doubt. Be patient, and you'll be rewarded. In the end, even if you pay a premium price, at least it's Ramenman, and The Ninja. I expect the same thing, once they OCE release him. I sure hope so, I've always liked the green pants on Ramen Man more than the red. Hopefully BaMco will see it fit to release the OCE with the current accessory for Buffalo Man or a damaged version of the Mongol Man mask. About the price going down, I shouldn't say I guarantee it. For example, when Super Mechagodzilla landed, I was able to score the Garuda set for $30 on Mandarake, which was unheard of after it was going for $120 minimum for years. Anime colors Warsman did see a small dip in price around when the OCE landed, but not significantly. I don't know why they don't re-release that figure, it's not an exclusive. However, that applies to Ramenman as well, he could also see a re-release one day, which I would appreciate as well. 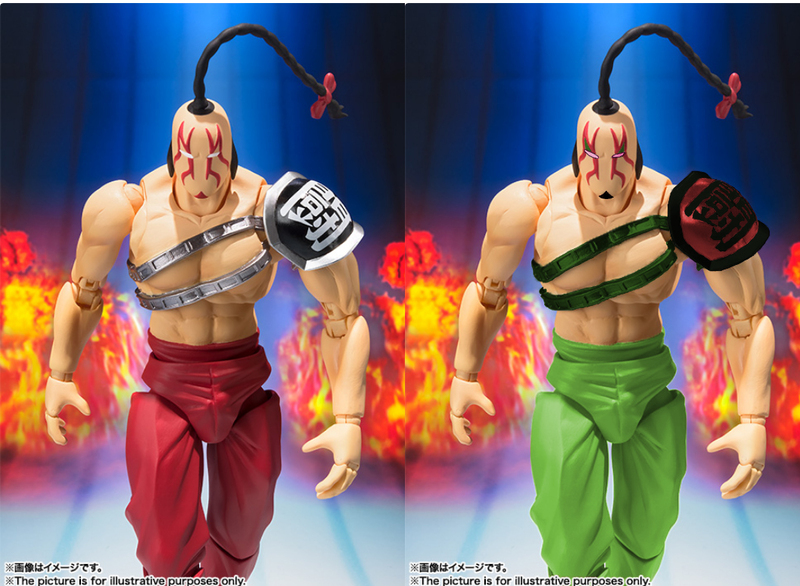 Another release that could affect the price would be if before offering the Ramenman above, they do a fully clothed Ramenman, similar to how we saw two Brocken Jr. releases. Edited by toyhandle, 18 October 2017 - 04:44 AM. good point. BaMco has been known to do a re-release of some figures but repaints of others. Not sure what their marketing strategy is but with the SH Monsterarts most of the rePaints loose an accessory. 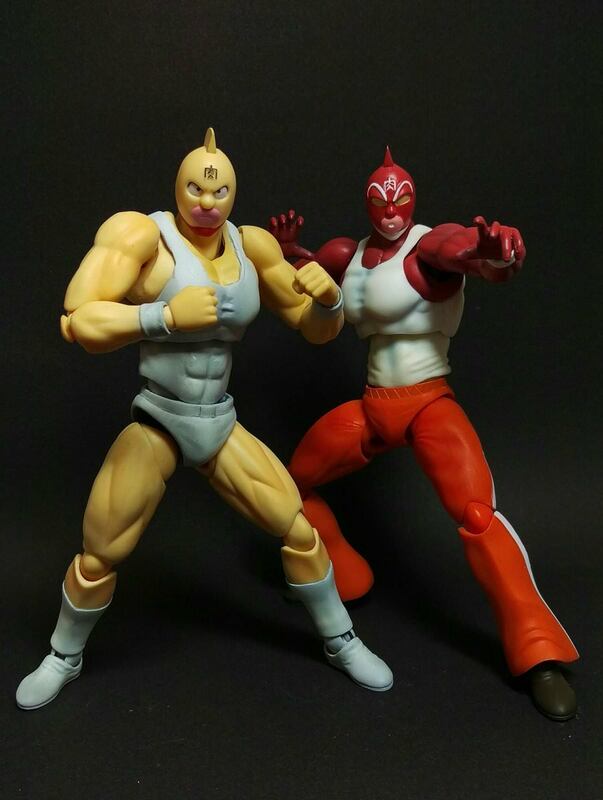 So far the Kinnikuman line the trend with rePaints has been to add an accessory. Hope this trend continues. I've been checking the tamashii.jp site regularly and there doesn't seem to be a lot of new retail or shop exclusive items being posted. I want to see what they do with Sunshine and Silverman. Say Whoomp There It Is!! Hell yeah! I'm excited for that Super Phoenix! Where did you get that picture from Kanji? Any more good news? I was hoping for SuperP when they released Soldier. Wonder what accessories he'll come with. Original picture was snipped from a magazine scan. 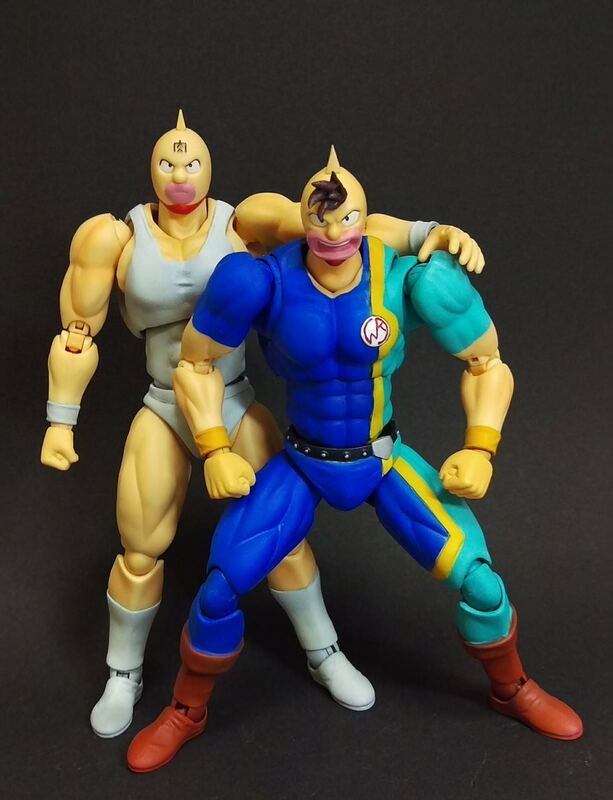 Which is fine, Bandai confirmed his upcoming release on the SHF Kinnikuman page. 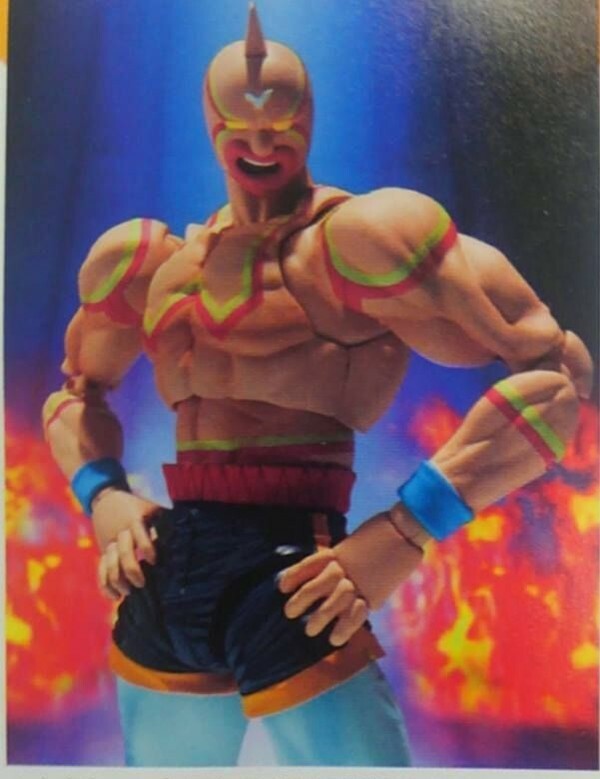 http://tamashii.jp/special/kinnikuman/ MSRP is 5940 yen, releases in March, and he only includes standard alternate grappling hands and some extra heads, I guess just the smirking and grimacing ones seen in the photos. Only other news was this sweet Geronimo custom! I wonder how long till the real thing!! Thanks for the update. 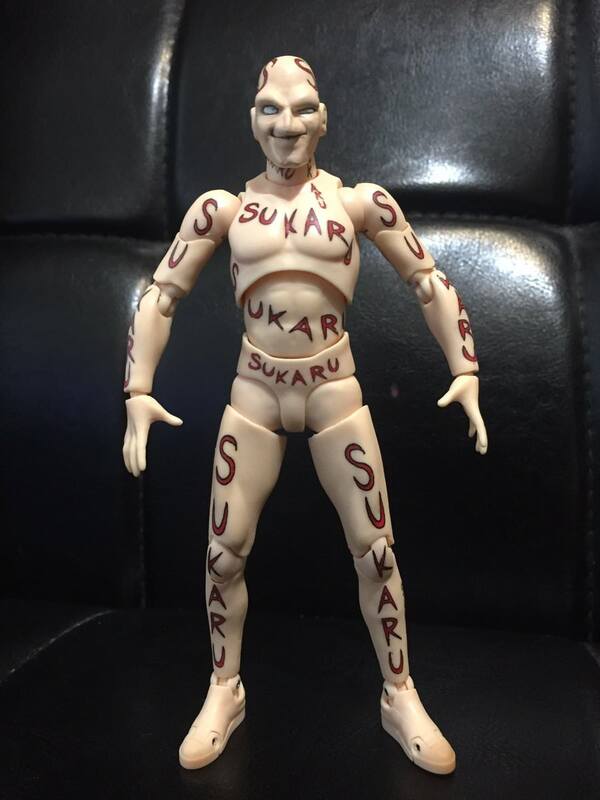 Glad to see that there's movement on the SHFiguarts front. Looking through the official site, I see that they are adding to an Alien Zarab (OG Ultraman) and Alien Guts (Ultraseven) to their Ultraman line as well. Love how much activity this thread has! Phoenix looks great. Love the colors, and especially the sculpting on the shorts, pants and shoes. Not a big fan of the character (too cartoon villain-y for me), but still a must have. I really would love Zebra soon, and Big Body and Mariposa would be a dream. I could imagine those last two coming with pack-in white cloaks for all the princes, as incentive to pick them up. Edited by toyhandle, 26 October 2017 - 07:54 AM. Edited by theCrazyest, 01 November 2017 - 07:33 AM. Typically I get all my figuarts from CDJ or Nippon Yasan if I can. They usually offer the best prices. Gonna be combining this order with that new Trafalgar Law Figuarts Zero! Edited by Kanji, 01 November 2017 - 01:53 PM. Good to know, adding CDJapan to my list of J retailers. You're welcome! Also don't forget to add Nippon Yasan! I ordered mine from there today. You won't find it cheaper, unless it goes on sale after release. I can vouch for Nippon Yasan. Great CS too! My UW Devastator had a broken peg and instead of having to ship back the entire thing back, they had me ship back just the robot with the broken peg and sent me a replacement before it even got there! Was almost sure I was SOL due to size and the hassle of dealing with a company based overseas whose return/exchange policies don't necessarily extend to other countries. I've been trying to give them my money when i can ever since. Edited by illadvised, 02 November 2017 - 03:29 PM.